The government distributed a 109-page report on its strategy to develop the country’s financial sector over the next 10 years at an official launch event on Thursday, making ambitious proposals to improve a wide array of sectors across the economy. The Ministry of Public Works and Transport (MPWT) will hold a meeting with the Banteay Meanchey provincial governor later this week to discuss the status of a railway line linking Cambodia’s capital to neighboring Thailand. Representatives of Japanese petroleum firm Idemitsu Kosan Co Ltd met with the Ministry of Mines and Energy (MME) earlier this week to discuss potential plans to invest in a cassava processing plant that would convert the agricultural stock into ethanol fuel, according to a release from the ministry yesterday. 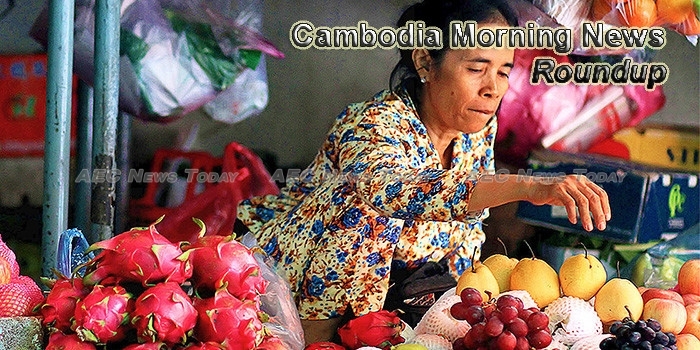 Pointing to the gradual decline of Cambodians employed in agriculture – from 80 percent in 1990, to 60 percent in 2005, to 40 percent today – a report published on Tuesday on the Ministry of Agriculture’s website declares this process to be both inevitable and healthy if managed correctly. It’s been a little over a year since I landed in Phnom Penh and officially started Dotfusion Cambodia, an agency focused on digital strategy, marketing, web and application development and analytics. With 20 years’ experience in digital consulting and running a digital agency in Canada and in the US, I’ve observed many interesting differences between the technology scenes in the West and the East. Improvements to Cambodia’s main coastal resort of Sihanoukville are helping to increase visitors’ length of stay, but more efforts are needed for it to become a standalone destination, agents opined. CamboTicket, a Cambodian travel startup that coordinates regional transportation services, was one of four companies to win grants in a regional competition to connect startups with international investors. A new report on government restrictions on labor migration says Cambodia’s 2011 ban on sending maids to Malaysia may not have dented the traffic and possibly put the women at even greater risk of abuse. Express Food Group, a subsidiary of Bangkok-based RMA Group, will open its first Thai-based Bar B Q Plaza restaurant brand by the end of this month, according to a company announcement yesterday. Cellcard Lab, an initiative to help young Cambodian entrepreneurs develop their ideas into viable businesses, completed its fourth and final round on Tuesday evening, with teams pitching their projects to a panel of judges for cash prizes.